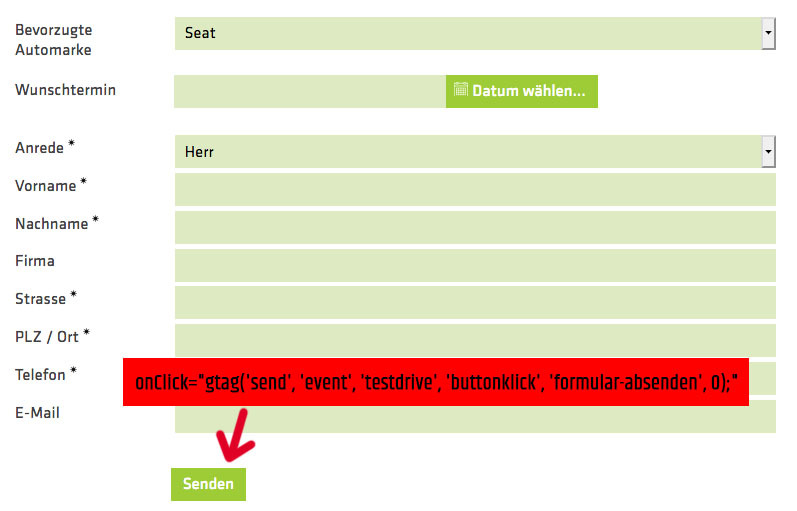 Ich möchte einen Onclick-Event zum Send-Button eines Formulares hinzufügen. Wo kann ich das machen? 1) Go to your form's Properties and set Include submit button to No. That will remove the default submit button. 2) Create new element of Submit button type. What you write in Value field for that button element is what will be displayed on that button in your form, so that it the place where you should put, for example, "Submit". 3) Go to Advanced properties of that submit button element and in Actionscript section set Type to Custom and mark Click as Action. Thank you for your answer! Is this correct? Last edit: 2 months 2 weeks ago by Pascal Kurmann.